The wait is over! Our mint brownie flavored egg whites have arrived! If kept frozen, the product is good for one year. If thawed, it needs to be consumed within 30-40 days. Contains: Protein (25g), Fats (0g). 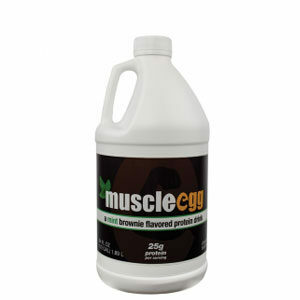 Our unique, patent-pending flavor and process is what makes Muscle Egg flavored egg whites so good.